Microsoft recently announced the availability of Skype 8 for Skype users on all platforms. With this, they also announced that the old Skype Classic Win32 app for Windows PCs will also be discontinued. That classic Skype app is still on version 7 with clearly no plans for future updates. 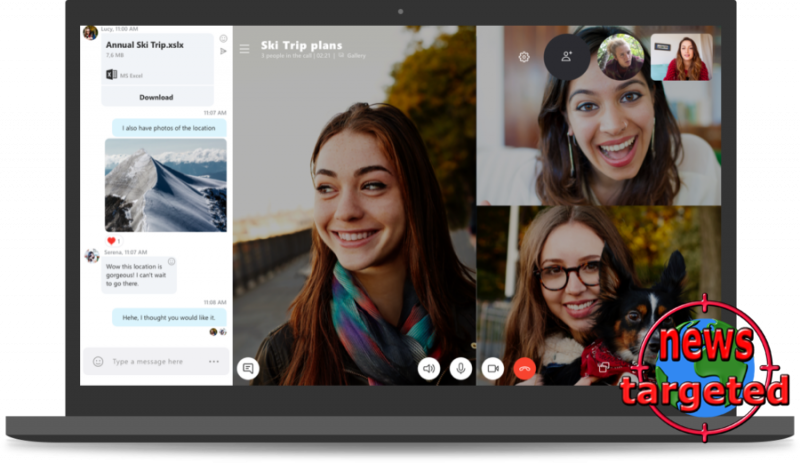 Microsoft has made it clear that they want the users to switch to Windows 10 and eventually start using Skype’s new UWP app that is built especially for Windows 10 devices. This does not mean that the old Classic Skype app will not be functioning, it will just not be available from any official sources. You can use any third-party sources to download it, but the risk lies in your own hands. This is because these third-party sources may be malicious. Recently, we reported that the classic Skype Win32 app would be discontinued for Windows PCs starting September 1st, 2018, but it looks to us that the people in the Skype team at Microsoft have changed their minds. Now, they have updated their article in the Skype Forums and informed the users that they are postponing their plans to kill the app. We suspect that this is because the older released of Windows operating system for PCs has a noticeable market share, and Microsoft can not afford to lose all those users if they decide not to upgrade to Windows 10. If you wish you can download the Skype Classic Win32 app from go.skype.com and the new UWP if you are running the Windows 10 from the Microsoft Store. If you do not see the UWP app available for you even if you are running Windows 10, make sure that you are running the latest release of Windows 10.